PHOTO BY VICKI JOHNSON Todd Sheets, owner of Beeker’s General Store in Pemberville, assists local customer Roberta Gacsal with a purchase. 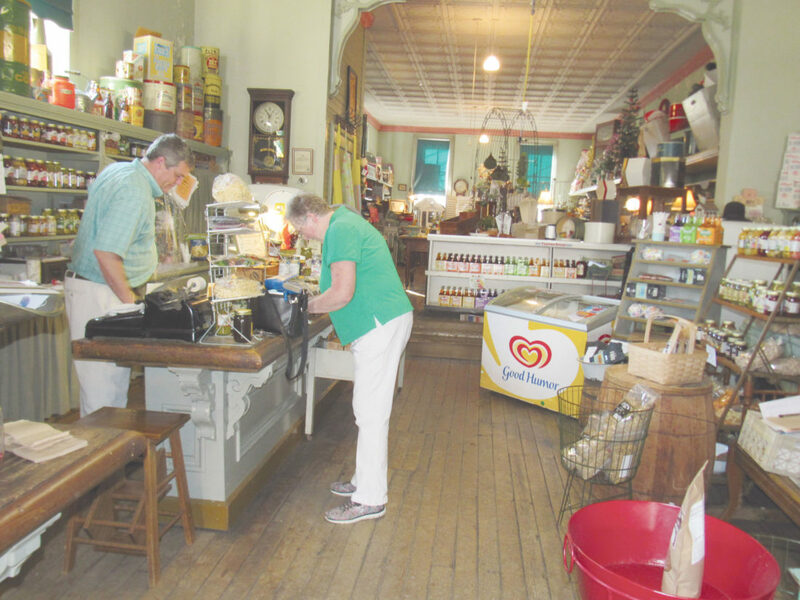 The old wooden floorboards creak when a customer steps inside the doors of Beeker’s General Store in Pemberville. 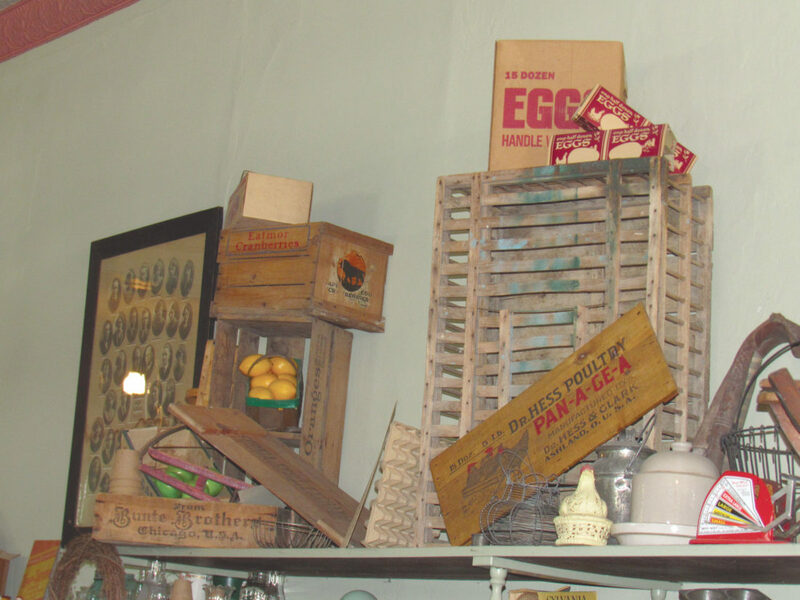 History and nostalgia are evident from the wooden counters, gas lampshades and tin ceiling. A picture hanging on an old spool cabinet shows a snapshot of the business as it looked in 1917. “So, actually, that picture is 100 years old,” he said. The photo shows many of the historical products the store sold, such as umbrellas in the umbrella case. “It shows the ribbon case, which is very unique,” he said. 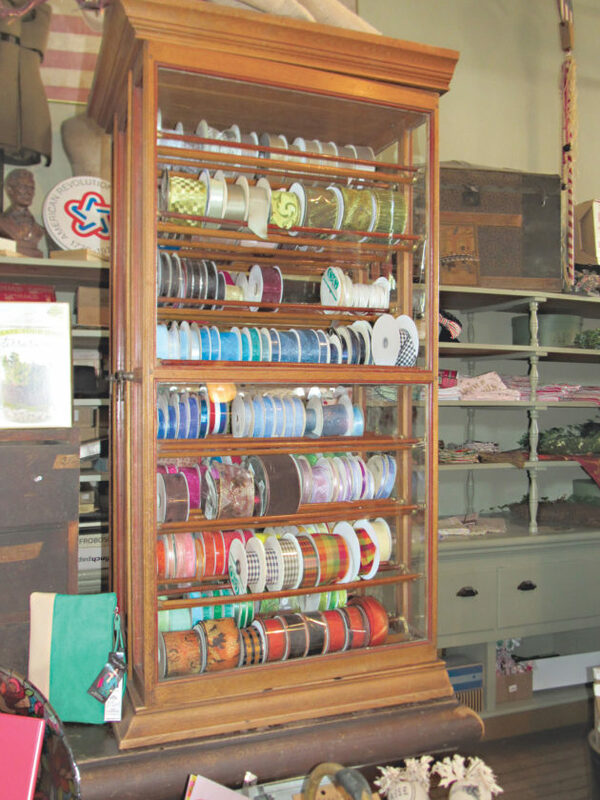 Today’s wooden counters still stretch down both sides of the store, filled with products — vintage and modern. The top shelf is reserved for memorabilia that isn’t for sale, and some of it has been there for a long time. 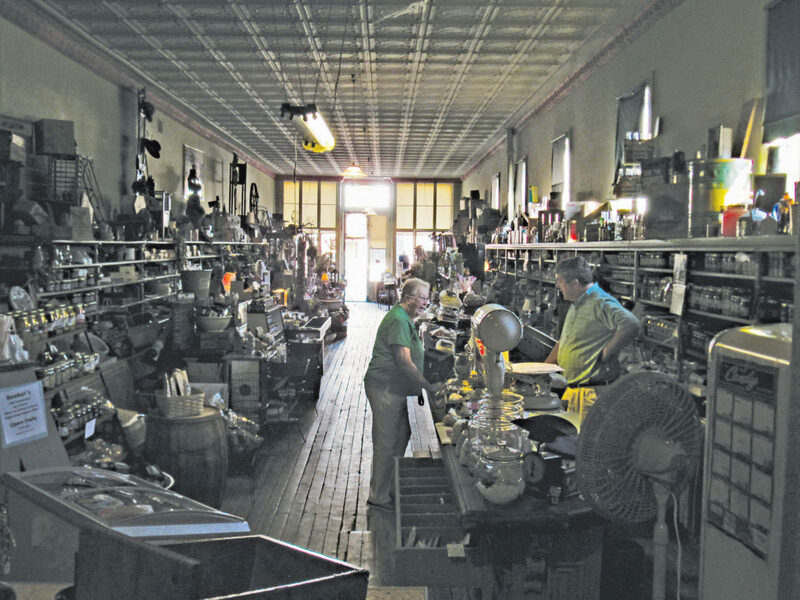 “We’re a working general store and a museum, all in one,” he said. According to records, Sheets said the building was built by Froney & Bruning, followed by the Zindler Brothers before partners Beeker and Witker bought it. “Miss Mildred Beeker continued in her father’s footsteps, maintaining the tradition until age 89,” Sheets said. He said her father bought the business with a partner, and then later owned it himself. Upon his death, Sheets said, Mildred and her mother continued to operate the store. And Mildred, an only child who never married, continued until age 89. While Mildred was proprietor, Sheets worked for her from age 12 through his teen years. A florist by trade, he said he worked for five years at a large florist in the Toledo area before purchasing Beeker’s from Mildred in 1994. 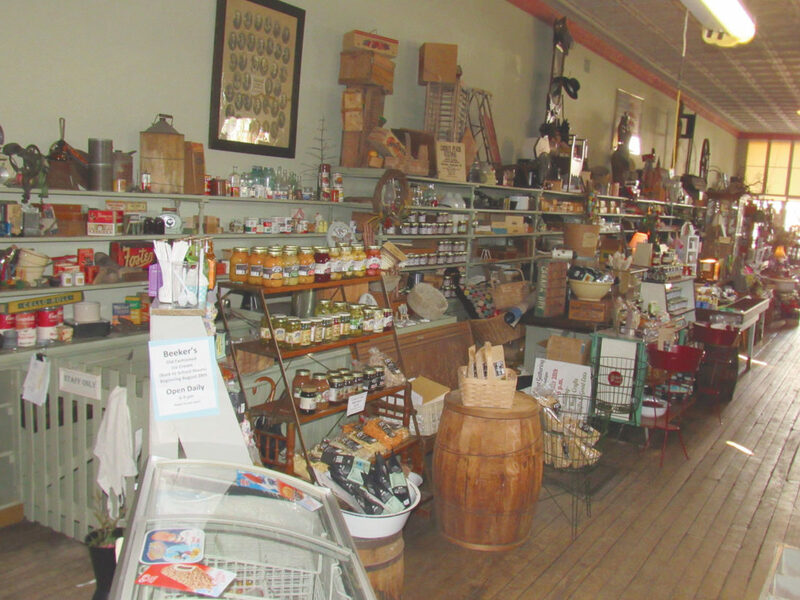 Serving Pemberville for four generations, Beeker’s originally served the farm community surrounding the town, and much of the store’s merchandise is reminiscent of the items customers have purchased at the store for more than 100 years. He remembers stories Miss Beeker told about the days when Pemberville had many businesses and multiple grocery stores. 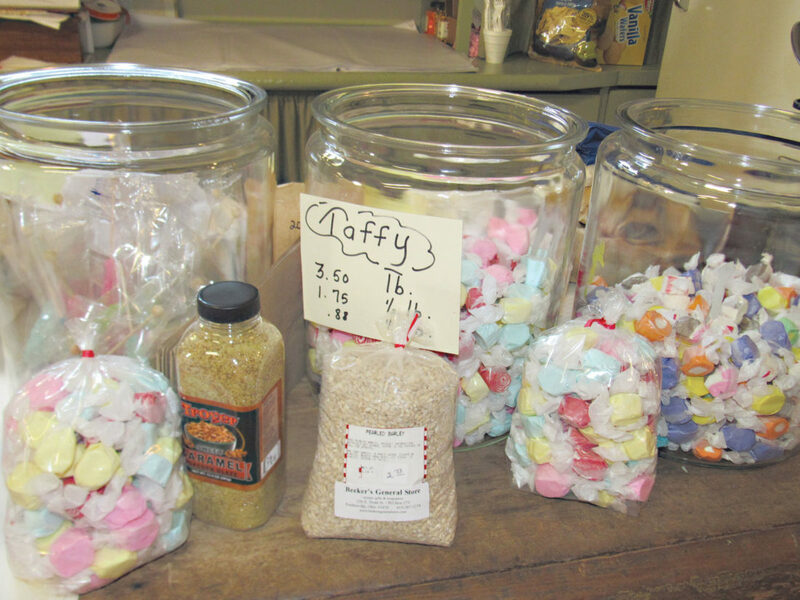 Taffy is seen in containers. “That was the big thing on Saturday night, to come into town,” he said. “They came for gossip and groceries, and in that order. “Farmers would have brought their eggs and fresh produce and bartered for flour and dry goods, whatever they might have a need for — flour, salt, sugar,” he said. Although not much bartering takes place today, the store continues to offer similar merchandise. The store features Country Grains Bread Co. breads once a month, and a local baker provides sweet baked goods every Friday. In addition to food, the store offers soaps and lotions, fabric, children’s books and toys – and that only scratches the surface. In addition to the top shelf of museum items, Sheets said there often are “vintage finds” offered for sale. 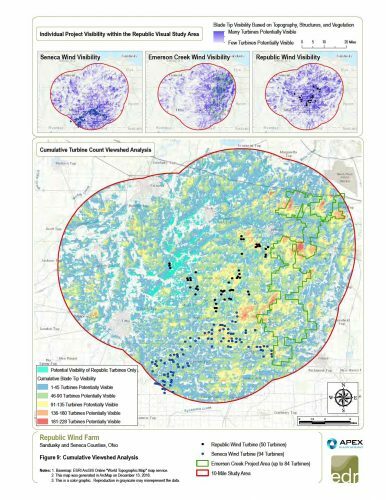 “We have a great loyal base of local people from surrounding communities,” Sheets said. And the store has frequent visitors from towns such as Perrysburg, Fremont, Sylvania and Findlay, and also from a bit further such as Cleveland and Michigan. He said people take family photos at Beeker’s. Sheets is asking his customers or any people from the greater Toledo area to help with a holiday display this year. Sheets said visitors from the Toledo area often comment on how much Beeker’s reminds them of the old Tiedtke’s store, which was a similar general store at Summit and Adams streets in downtown Toledo. The store closed in 1973 and the original building was destroyed by fire two years later. “That was a Toledo landmark for many years,” he said. Between Sept. 15 and Oct. 15, Sheets invites anyone who owns Tiedtke’s memorabilia to drop it off at Beeker’s. 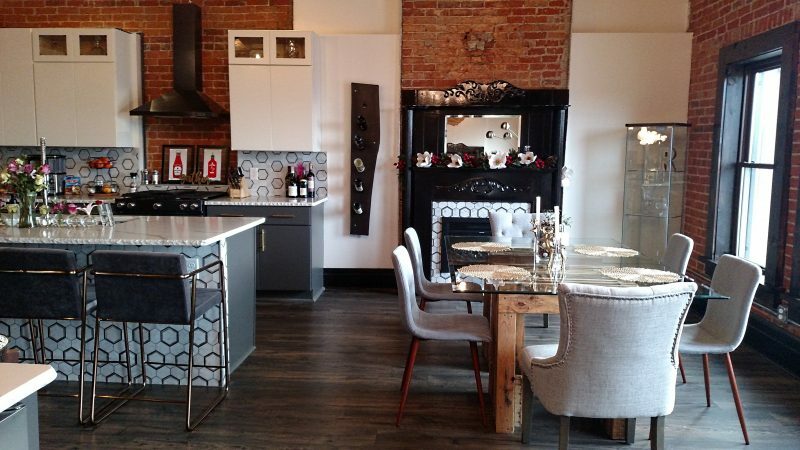 While they’re in town, Sheets invites visitors to take a look at the entire town of Pemberville. 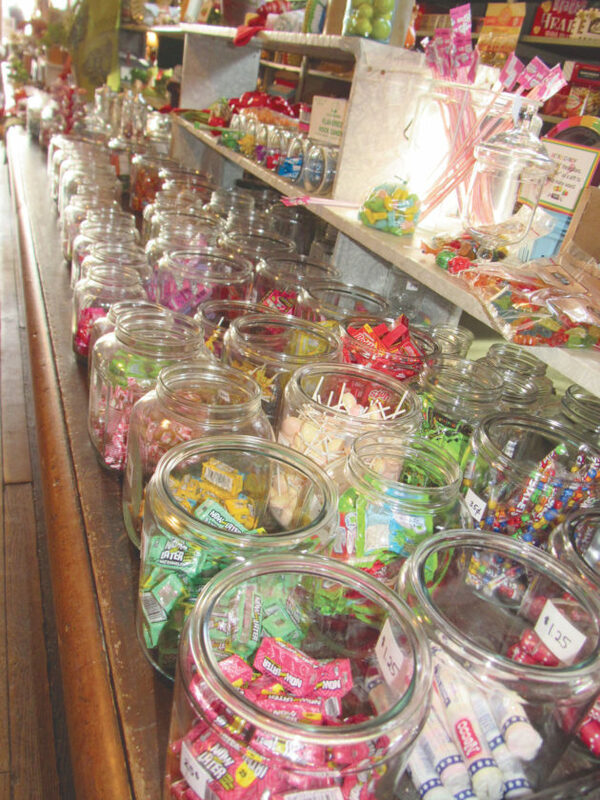 People can choose to visit Beeker’s, an antique store and other businesses for a day of nostalgic shopping and stop in between for lunch, he said. Two good opportunities to visit would be two special events coming up, he said. Oct. 28 is the Pemberville Harvest Gathering Arts Fair and Craft Show, sponsored by Pemberville Historical Society. The day features great food, he said, including traditional snipple bean soup, a traditional German soup. The Christmas Open House takes place the Saturday and Sunday after Thanksgiving, he said. The weekend features carriage rides, tours of historical society sites, a Festival of Trees at the opera house and a bake sale. “It’s all kinds of fun, an old-fashioned Christmas,” he said. All year round, Beeker’s is open 9 a.m.-5:30 p.m. Monday through Saturday and noon-4 p.m. Sunday. Beeker’s address is 226 E. Front St. (SR 105), Pemberville. To contact the store, call (419) 287 -3274 or email info@beekersgeneralstore.com. Find the store on Facebook at www.facebook.com/beekersgeneralstore. Sheets rings up Gacsal’s purchase.